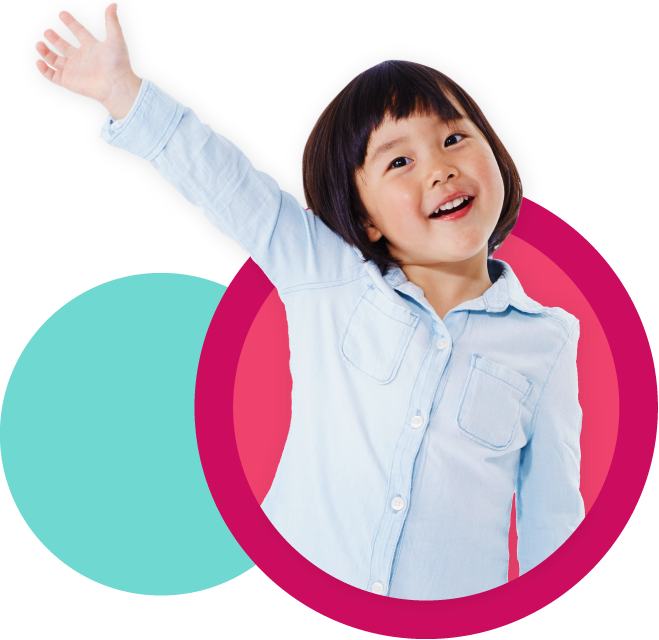 Want to foster your child’s love of reading? Think about what you like to read. For many adults the answer includes a favorite magazine, and this may be true for children as well. You can find copies of many children’s magazines at your local library. 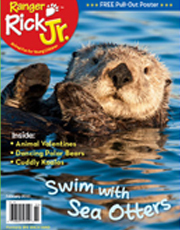 Some children’s magazines focus on literacy, others on nature, and some include both. Some are written for adults to share with babies and toddlers. Others are written for preschoolers to look at on their own, with a friend, or with an adult. As children get to know a particular magazine, they look forward to reading their favorite features. There’s something special about reading the latest issue of a fun magazine. 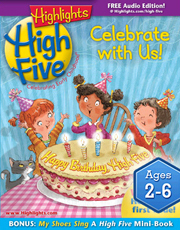 Highlights High Five -Highlights for Children. 12 issues a year. Ages 2–6. Ladybug -Carus Publishing. 9 issues a year. Ages 3–6. 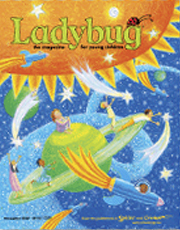 This publication offers illustrated stories; recurring characters like Ladybug, Muddle, and Thud; and poems, songs, and how-to activity ideas to engage young learners. Each issue includes a removable activity section. 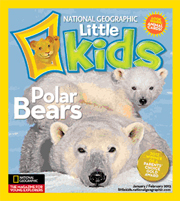 National Geographic Little Kids -National Geographic Society. 6 issues a year. Ages 3–6. Sized for small hands, this magazine is packed with color photographs, animal stories, features about different cultures, simple science activities, and puzzles and games. A recent issue asks why mother kangaroos have pouches and has an activity to help children explore the sense of taste. Ranger Rick Jr. National Wildlife Federation -10 issues a year. Ages 3–7. 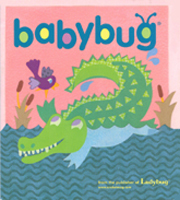 BABYBUG -Carus Publishing. 9 issues a year. Ages 6 mos.–3 yrs. This board-book style magazine offers babies simple stories and rhymes with lots of photos. It features regular characters, like Kim and Carrots, and includes a page of read-aloud tips and child development info on a page just for caregivers. All of these magazines provide activities for children. Here are some ideas to explore together. Introduce new vocabulary. Name the photos and illustrations as you point to them. Repeat and watch your baby’s reaction. Enjoy language. Read the poems and stories with your child, and enjoy their rhythm, tone, and content together. Be playful. 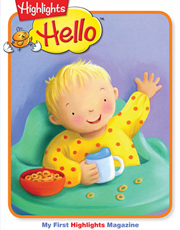 Magazines for babies include many humorous games and puzzles you can both enjoy. Learn about magazine formats. Your child can become familiar with each publication’s predictable format. Talk about the different parts of the magazine, like the cover story, the table of contents, the article titles, and highlighted quotations. Talk about favorite features. After your child has had a chance to read a few issues, ask her about her favorite sections. Some children like the animal photos, others the comics, still others the stories or poems, and many children like the games and activities. Learning what you like to read is part of becoming an engaged reader. Find out more. Did your child see an animal she wants to learn more about? Learn a fact that intrigues her? Look for more information in books or on the Internet. Source: Adapted from the Message in a Backpack for NAEYC, 2009, "What Do We Do and Learn Outdoors?," Picturing Good Practice, Teaching Young Children 2 (5): 16–19.